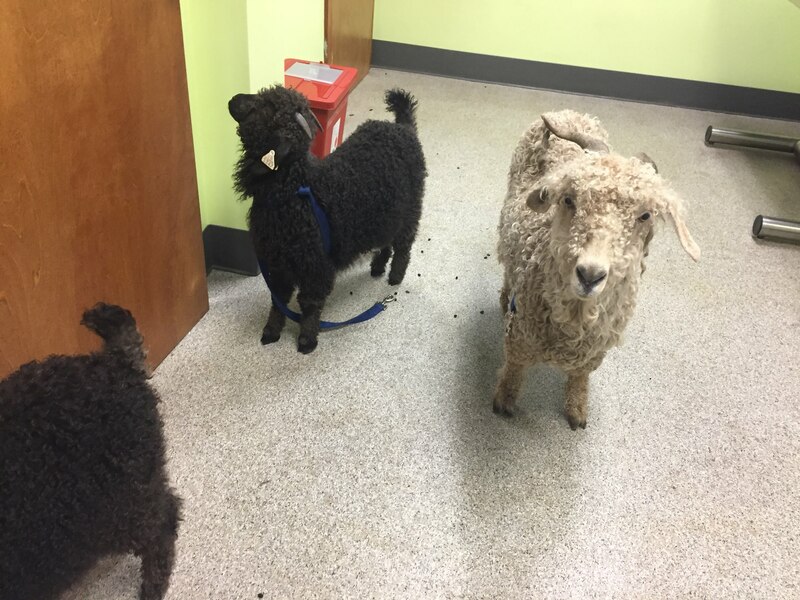 The kids quickly got their 2nd round of shots and were headed back home in no time. 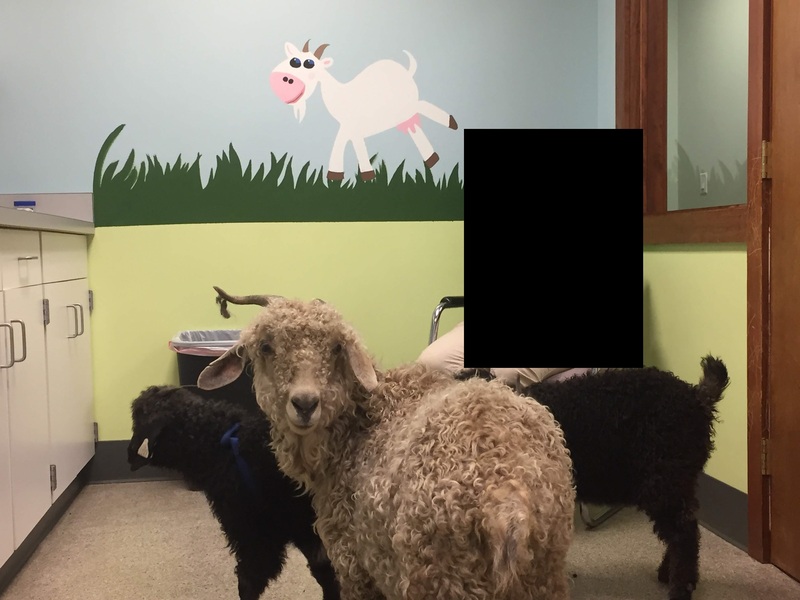 Goats in the vet office with a goat painting in the background. We just used a dog leash on each of them to keep them going sort of in the right direction. 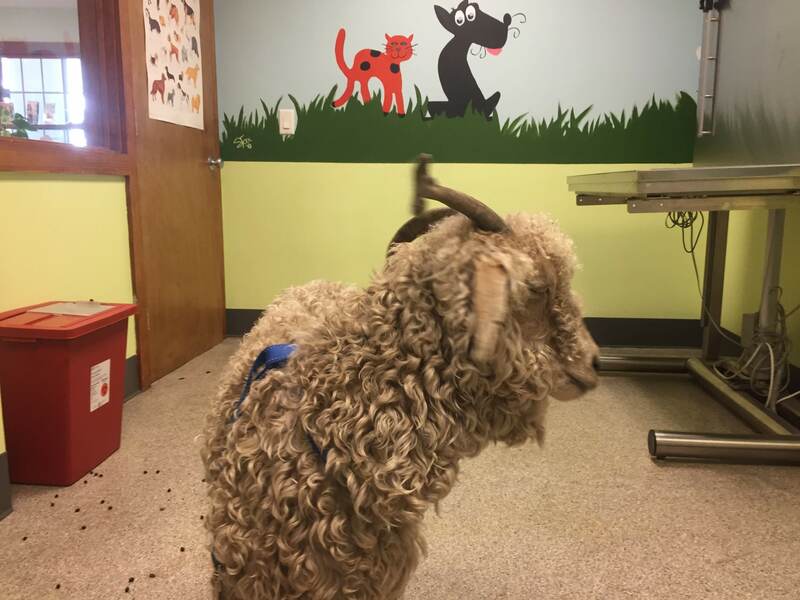 We got a couple strange looks from people in the parking lot on the way out of the vet’s office – they were used to seeing dogs and cats, but weren’t used to seeing baby goats, at least in town.